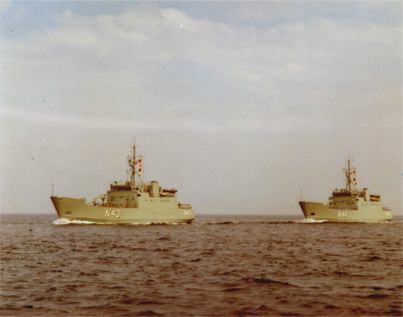 The two minelayers of the LINDORMEN Class, LINDORMEN to the left and LOSSEN to the right. 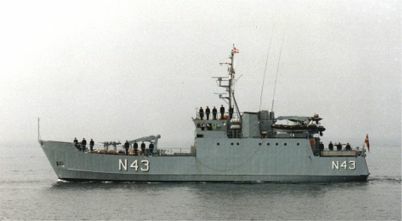 This class is specially designed to lay controlled minefields. 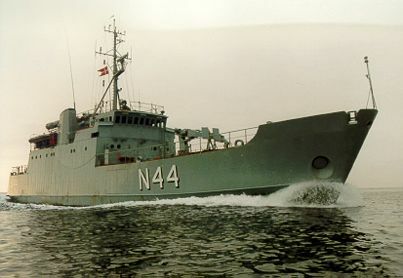 Besides of their primary role as minelayers, one of the ships periodically did serve as the command and support ship for the MCMFORNORTH (NATO's standing mine clearance force), and flag ship for the CinC.